Hi, my name is Hui. 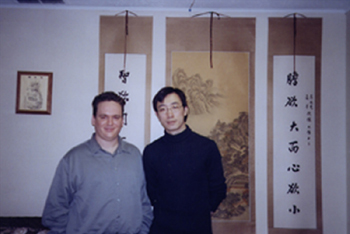 If you are looking for a Chinese treatment of acupuncture, I am highly recommending you to New Realm Acupuncture Center. I only had several treatments so far, and I feel great and comfortable after each treatment. I never know how powerful of those thin needles, which amazed me after each treatment. Of course the needle can not do anything itself without their professional skills. I had a car accident on April, and that is the reason brought me to New Realm. I went to so many western doctors, and they all told me to eat pain killer without finding the real problem of my headache and breathing problem. I feel great after my first exam with GAO and Jing, because they are really try and work hard to help me with my health and problems. If this is your first time, I believe you will be very nervous. That is ok, because I was like that too. Since the needles are so thin, the treatment feels like mosquito bit. A key word for you—“relax.” Just enjoy the treatment as you enjoy your Sunday SPA. I have chronic sinusitis and environmental and food allergies. Headache and sinus infections have been habitual for me. I have taken decongestants and antihistamines on a regular basis. Acupuncture has relieved the sinus pressure and puffiness in my face. I can’t believe haven’t had a headache for so long! I was referred to New Realm by my sister in law who was their patient. 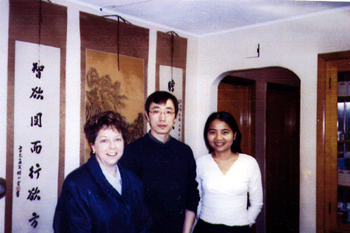 Dr. GAO and Jing operate in a sincere, caring manner. I am referring anyone who experiences pain to try this alternative approach to medicine. My neurologist suggested acupuncture. I was getting migraine every for 1st year, then 2 to 3 times a week thereafter for the last 5 years. I came to New Realm in Nov. 2003 and I feel great. This is helping so much that I refer my clients to them. Thank you! You’re the best! After suffering with a constant headache for several months, this went undiagnosed by three internists and two neurologists. My acupuncture treatment proved effective the very first time. Over the course of subsequent treatments, the pain took longer to come back and was weaker every time. It has been about 6 months since my first treatment, and I have been free of any pain for the last 3 months. My condition seemed hopeless, but now I am cured! Thank you!